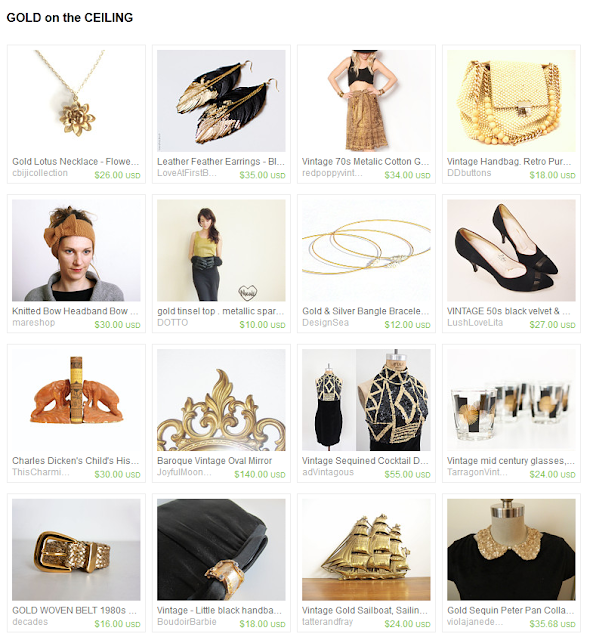 Treasuries on Etsy are a great way to express your taste and to find others who have similar taste to you. Nothing's better than finding a big block of items you love all in one spot and being able to hit the little heart button on ALL of them. Better yet is knowing that in making a treasury you're helping out other sellers on the Etsy platform! Some day, they may remember that and include you in a treasury - and who knows, it could be a front page treasury. I love finding a theme to inspire me to create a treasury - whether it's a song, a feeling, the weather, a mood, a particular item... Anything can be inspiring! Though this is my first treasury as Foxburrow Vintage, I've made many treasuries before as ThePurpleHedgehog. Stay tuned to the blog for a post on what makes a treasury great.